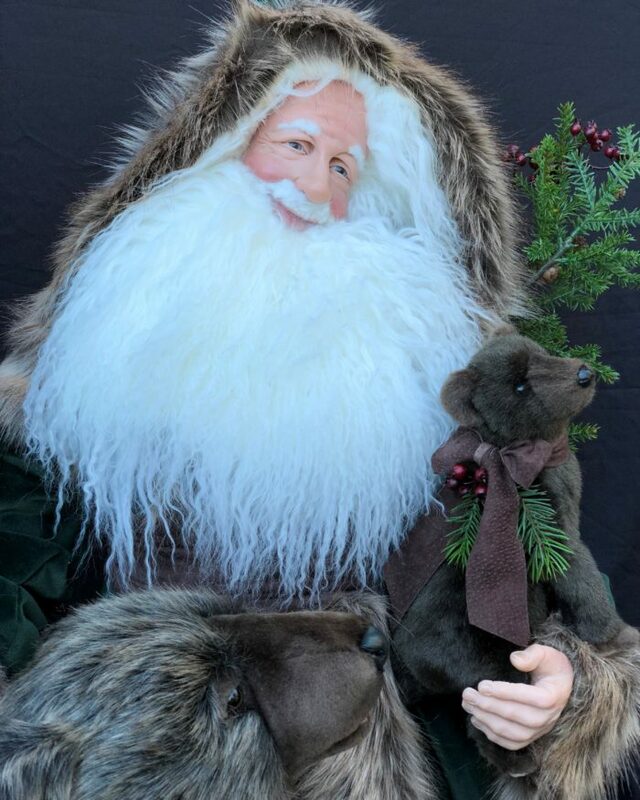 Oh Happy Day Santa is a beautiful 34-inch woodland Santa accompanied by an impressive pair of handcrafted realistic grizzly bears. 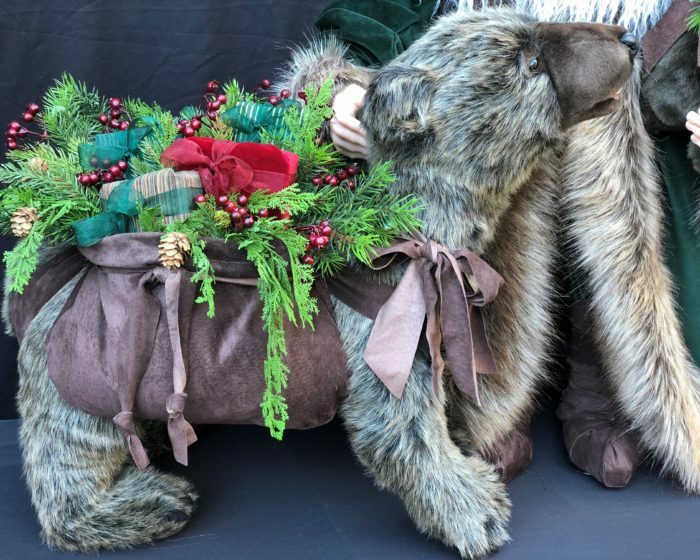 The large grizzly is adorned with brown suede bags filled with beautiful fabric wrapped packages and holiday greenery and berries. 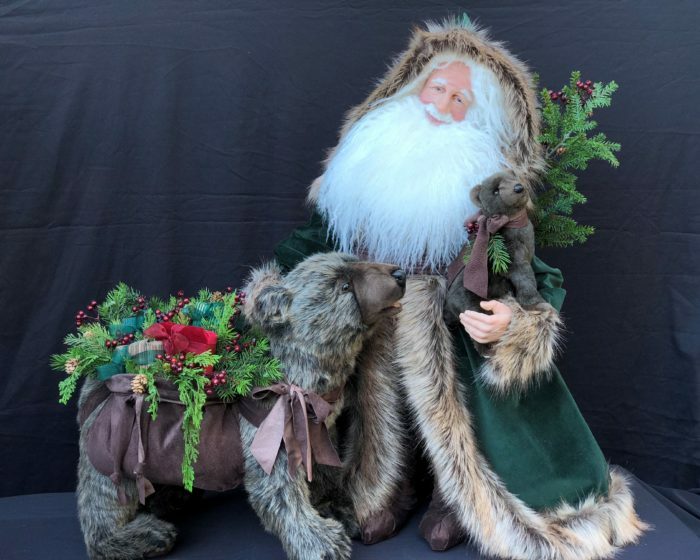 This collectible Santa is dressed in forest green velvet and trimmed with luxurious faux fur and has brown suede boots and cummerbund. 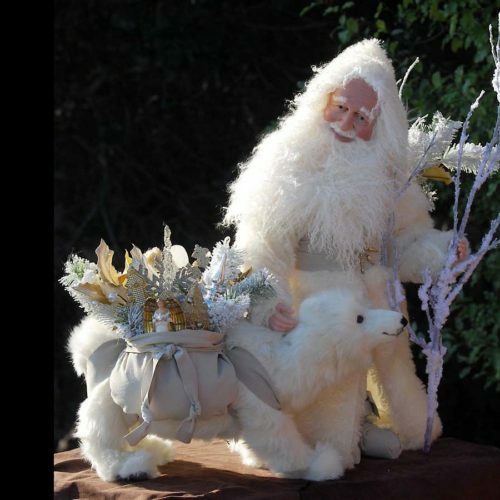 He holds a garland of greenery and berries on his back for that all-around viewing experience. 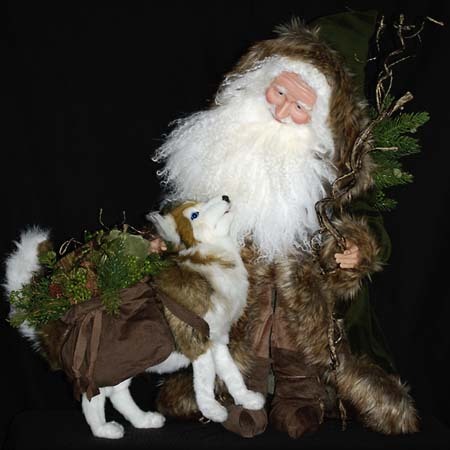 His face is hand sculpted with polymer clay and has a soft Tibetan wool beard. He is signed and dated under the beard. 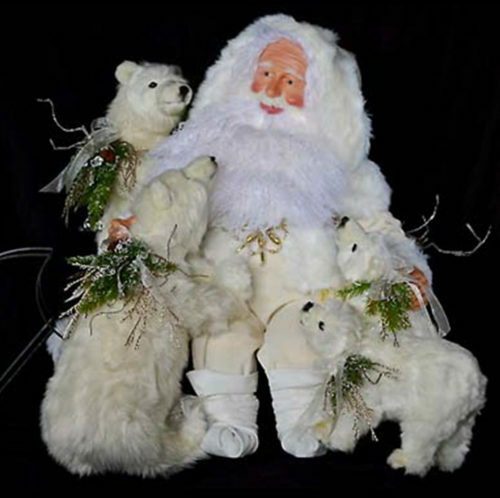 He is a masterful centerpiece for any home.